Oh my gosh, it’s PIZZA Wednesday. Pumped. ? You guys, we have a few very serious things to chat about today. First things first, my cousin Abby, who you all formally met on Saturday, posted on our family GroupMe app that she just finished her first half marathon. Like wait, what?!? I know for some people this may not be a huge deal, but um, I am simply not a runner! And thirteen miles in the San Diego heat sounds pretty daunting to me. To say that I am impressed would be an understatement. Ask me to hike for several days and I can do it for sure, but ask me to run for even like ten minutes? Yeah, no way. I’ll just stay in my kitchen and make all the pizza I can instead…for real though. Second up, Grilled Tomato, Fig and Prosciutto Pizza talk!! Anyway, every summer I basically wait and wait for the fresh California Figs to show up. They are like precious jewels, and I just love them! Trust me you guys, if you’re opposed/semi-scared of figs, just give them a try. Don’t just bite into one though, like not for your first fig experience. NOPE. You need to pair them with CHEESE, and maybe some honey too. But most definitely cheese, and preferably with a carb alongside as well, hehe. Then, once you discover how much you actually like figs, just let them continue to grow on you for a bit. Eventually you’ll be popping them in your mouth like candy. SO GOOD. 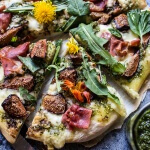 …pizza dough, homemade or store-bought. I always go with homemade since it’s just easier for me than trying to find good dough at the store. Just make sure your dough is at room temperature before you even begin to roll it out! …olive oil, salt + pepper, basil. …CHEESE. I used a combo of Castello Traditional Danish Blue Cheese and Castello Extra Mature Cheddar. I LOVE figs with a really good blue cheese. For me, it’s the perfect pairing and I highly recommend giving it a try. That said, if you’re not the biggest blue cheese fan, you can simple add extra cheddar (or I also love Castello Creamy Havarti). Really whatever your favorite cheese happens to be it will work great. Just don’t skimp on the cheese, go for the good stuff from Castello, it makes such a difference! …heirloom tomatoes. Clearly I’m quite obsessed with these exquisite beauties. I used a combo of big, medium and little cherry tomatoes… seriously. can’t. get. enough! Again, don’t skimp, go for the good ones! 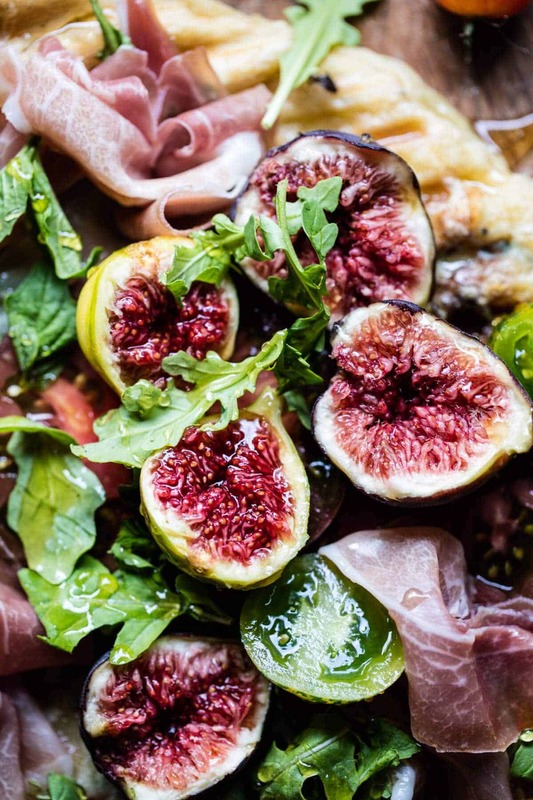 …fresh figs! Any variety works great, I used tiger and mission figs. …arugula + basil. A little green is always nice. Plus, I cannot do pizza without basil… just can’t. …honey + balsamic. Perfection when paired with figs and blue cheese. …last? A little red wine, I mean, of course. I went with a Napa Cellars Zinfandel. Can you say wine on Wednesday or what? Yes, please! And that there is truly a Wednesday dinner done right. This pizza is beyond gorgeous, which makes me love ten it times more. Yep, semi obsessed. Divide your pizza dough into 2 balls. On a floured surface, push/roll the dough out into a circle. 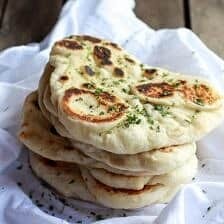 pizza dough to the grill. Grill for 2-3 minutes or until lightly charred. Flip and drizzle the dough lightly with more olive oil. Sprinkle with salt + pepper and a pinch of crushed red pepper flakes. Add the chopped basil, then sprinkle on the cheddar cheese and blue cheese evenly over the dough. Cover the grill and grill another 3-4 minutes or until the cheese has melted. Remove from the grill and place on a serving board. Layer the fresh tomatoes over the cheese. Sprinkle the tomatoes lightly with salt + pepper. 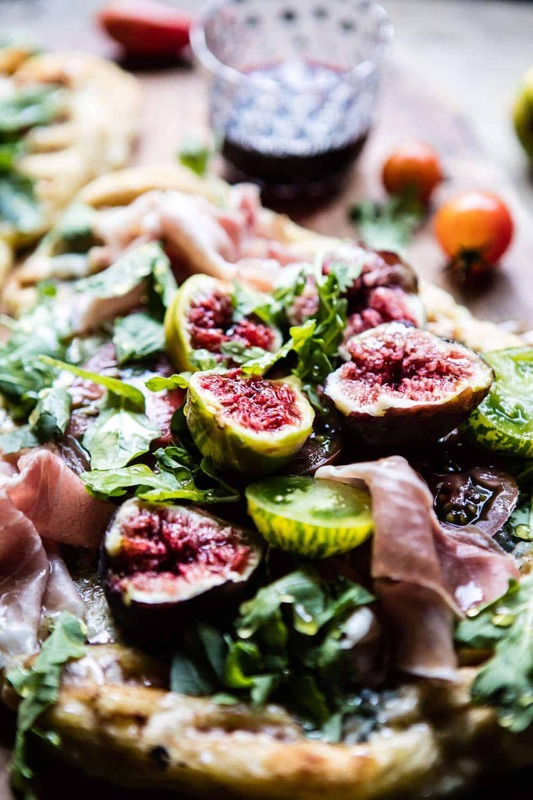 Add the prosciutto, figs and arugula + a handful of fresh basil. 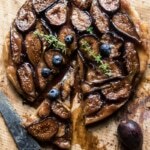 Drizzle the pizza with honey and balsamic. 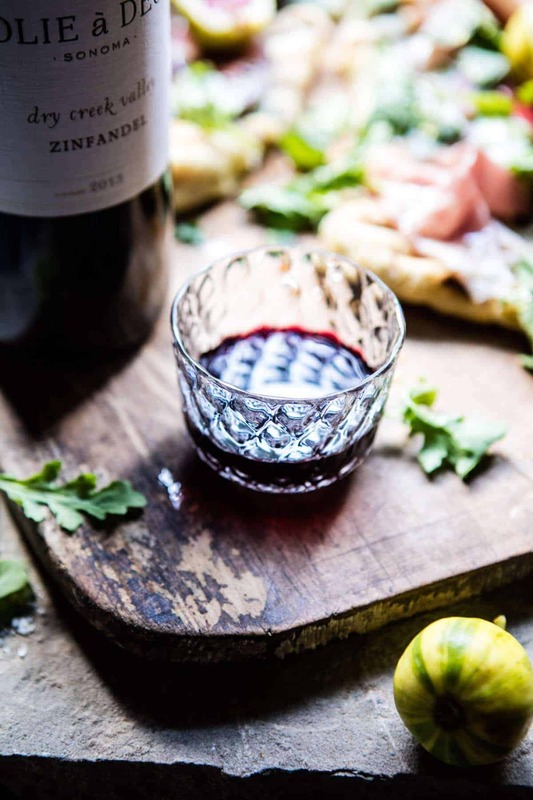 And now, we gather, we eat… and we drink! ? ?? PS. 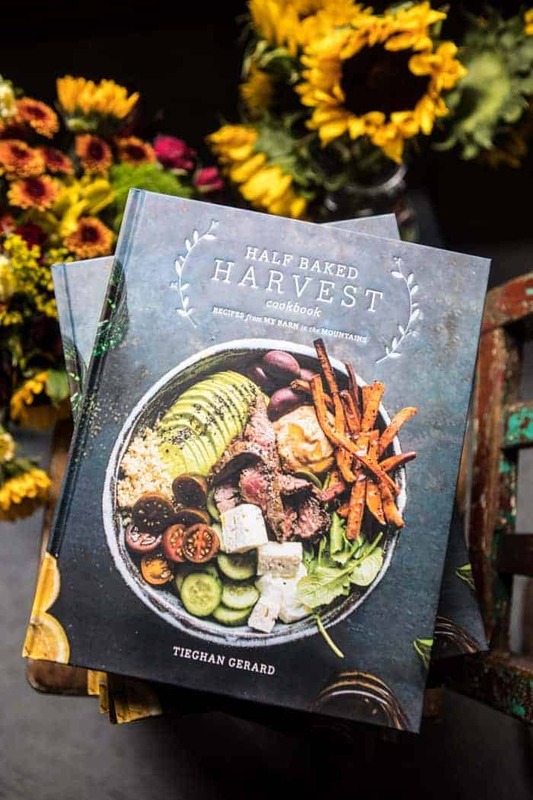 Don’t forget to vote for your favorite bloggers in the Bloglovin 2016 awards…Half Baked Harvest is nominated for best food blog, yeah!! PSS. I’ve also been nominated for the SAVEUR Magazine 2016 Blog Awards for Most Inspired Weeknight Dinners! I would be so grateful if you would go and vote for your favorite blogger. You can vote everyday from now until August 31st! ? 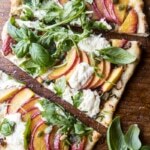 Omg, what a drop-dead-gorgeous pizza! 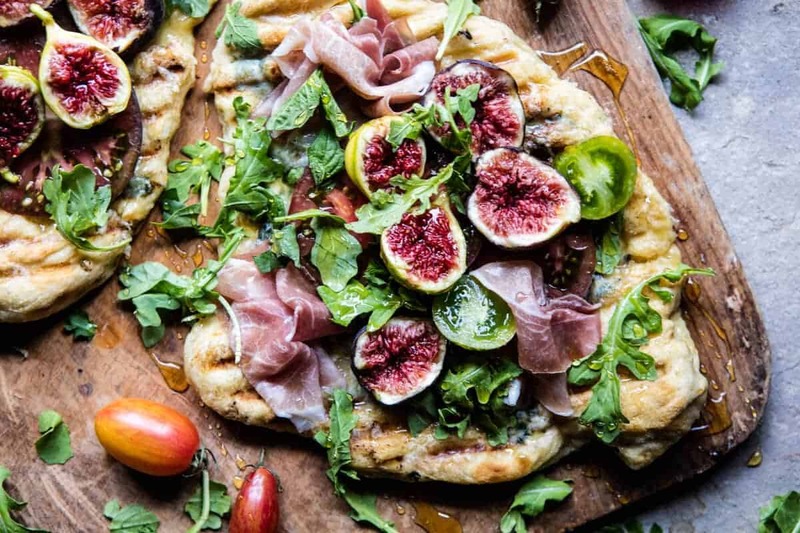 I seriously have to get my hands on some fresh figs, like asap, so I can make this! YES! Fresh figs are the best!! I hope you love it Tori, thank you!! I see all of my favourite ingredients there so it must taste divine! Haha! I am positive you will love it then!! Thanks so much Julia! Right?! So happy you’re loving this, and if you get a chance to try it I hope you enjoy!! Thanks so much Amanda! 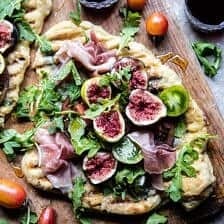 Figs and prosciutto are one of my favorite flavor combinations, especially on pizza. You’re right, Tieghan, figs are little jewels and they have such a short season. 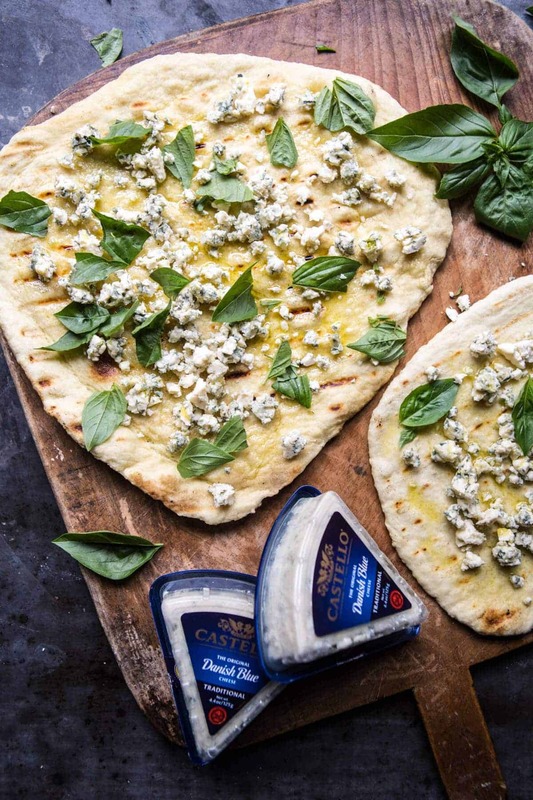 I usually add goat cheese to my pizzas but I’m now craving one with blue cheese! Agreed! 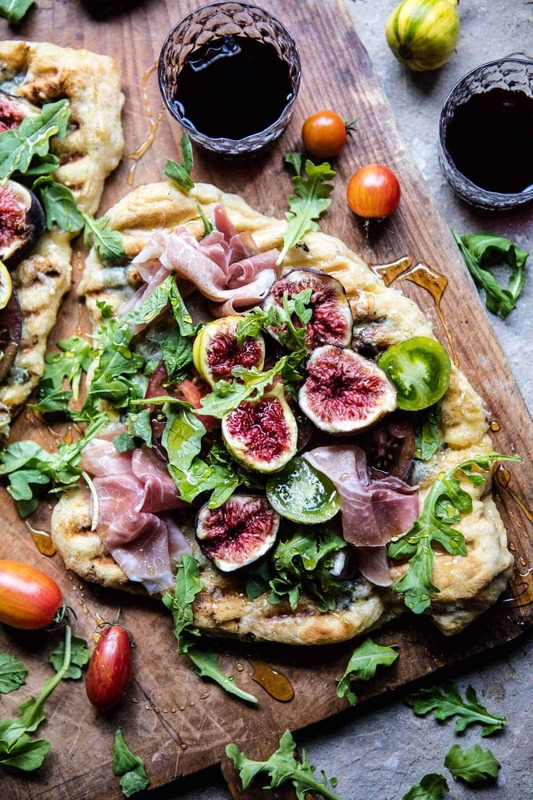 They pair so well together and prosciutto on pizza is just always a go to. So happy you are loving this Jean and I hope you enjoy!! Thanks so much!! 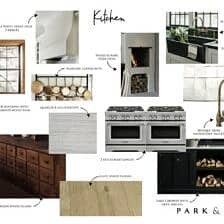 I hope you love it and it turns out awesome for you! ? figs! the figs this season are beautiful! I made something recently with figs and it was just magical. I can’t wait to try this! They are beautiful!! I hope you love it, thanks Jessica! ? 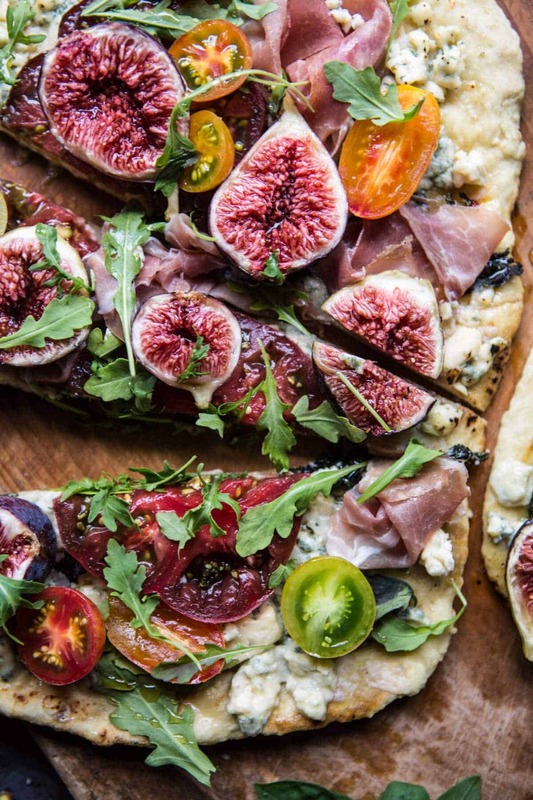 Oooooh, fig + blue cheese = magic! Pizza perfection!! Haha Thanks so much Laura!! They are such a perfect pair!! Wow that sounds amazing what your friend has, wish I had one!! Thanks Sheila! Getting figgy with it. Sounds like my jam!! 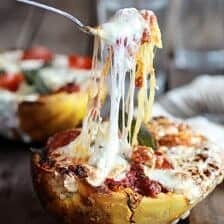 Seriously adding this to my list of “must makes.” I love that you used two varieties of cheeses, both of which are fantastic! 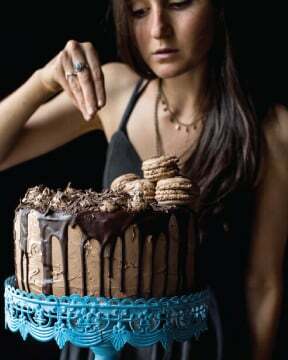 Thanks for the righteous recipes and fantastic photographs! Thanks so much Gwen!! I hope you love this pizza!! Yes!! 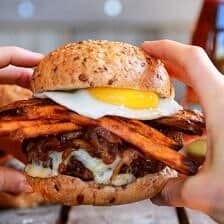 That is so awesome, I am so happy your family loved this recipe and had a great dinner! Let me know how the burgers are! Thanks Stu! Hi! I am so eager to try this out! 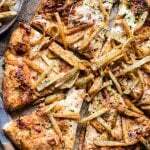 Do you have the pizza dough recipe, you you for this pizza?